A research assistant job description shows that their primary function is to assist with research. These professionals will typically work in universities, labs, or government funded projects. They will have varying responsibilities based on where they work. 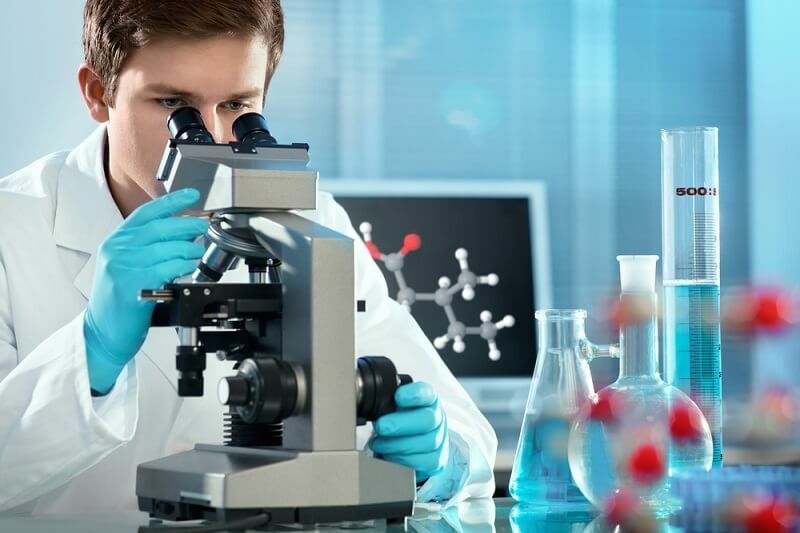 Some of the more common responsibilities are to prepare lab equipment, conduct literature reviews, enter data collected, and conduct research interviews. Use this research assistant job description to learn all about what a research assistant does and how to become one. Important skills and essential responsibilities are described below. Following that is a summary of expected education and any experience required. The typical working schedule, salary, and job outlook come next. After reading this, you should know what a lab assistant does and how to become a research assistant. Research assistants do whatever needs to be done in the lab or on the research team. However, their actual role will depend on the field in which they work. Research assistants who work in natural sciences will complete tasks like preparing lab equipment, getting materials out, and completing experiments. On the other hand, research assistants in social sciences will conduct literature reviews, prepare for data collection, recruit and interview participants, and work with data analysis tools. In humanities, they may collect data and analyze primary documents. The amount of responsibility given depends on their experience. These professionals typically need a bachelor’s degree, but there are research assistants who are also undergraduate students. The research assistant salary ranges from about $18,000 to $38,000 depending on place of work and employment status. However, there is no prior experience required to be a research assistant. Research assistants are vital to research projects. The following duties describe some of what they do on a given day. Make sure to personalize these to make your resume stand out from the crowd. Prepare lab equipment and follow experiment protocol. Enter data into various software systems and double check to ensure the entries are accurate. Go into the field to collect data with the research team. Conduct field research and complete annotated bibliographies. Work as part of the research team and regularly participate in meetings. Complete necessary training and modules to ensure awareness of compliance with ethical regulations. Recruit research participants according to the desired sample. Detail oriented skills. Research assistants need to remain focused on even the smallest detail to ensure the success of the experiment. Therefore, being detail oriented will help whether they measure or enter massive amounts of data. Research skills. Knowing how to find reliable information and synthesize it effectively for the purpose of connecting current research to the field is essential for a research assistant. This involves searching effectively, utilizing databases, and keeping accurate records. Interpersonal skills. Research assistants in social sciences will have to recruit participants and conduct interviews. Additionally, they need to be able to build rapport with the participants and make them feel comfortable in the research setting. Being able to find participants and follow protocol while at the same time making them feel valued is important. Technology skills. Research assistants could be asked to enter data into various institutional repositories, design systems to help with the research, or communicate with a virtual team. Also, some teams have researchers from around the world. Thus, utilizing various tools to help with project management will help the team stay on track. A research assistant job description shows that the education needed varies based on the job responsibilities and funding mechanism. For some, being a research assistant is synonymous with being a graduate assistant. However, these jobs exist outside of graduate school. There is no experience required to be a research assistant. However, in some cases, the research assistant job description will prefer experience with certain skills or tasks. For lab assistants at the undergraduate level, the typical education required is a high school diploma and a specific GPA major within the research area. These professionals who work as research assistants in graduate school need an undergraduate degree. In addition, they need admission as a student at the university. Outside of academia, there are research assistants who work for the government or in research labs. These positions typically require an undergraduate degree and a related line of experiences. The courses required for this position are as varied as the positions themselves. A research assistant job in humanities will have significantly different course expectations than one in physics or sociology. Research assistants should gain experience in conducting research, recruiting participants, and working as part of a team. The only training required is for ethical considerations. These professionals need to complete training teaching them about the ethics of research, privacy laws, and how to safely store confidential information. A program such as CITI can provide this training. Research assistants don’t require experience. For many people, this is their first professional position in or outside of school. Also, it’s important at this point to make a distinction between a research assistant and an assistant researcher. The latter is a title synonymous with the rank of assistant professor. These people have an entirely different set of qualifications and expectations than a research assistant. However, some research teams will prefer someone who has a level of experience with the research conducted. It is usually possible to begin working on a research team as a volunteer. This allows one to gain the necessary experience and prove that they are capable working as part of that team. Graduate students who would like to obtain a research assistantship should specify a desire to do research and score well on their entrance examinations. The work schedule of research assistants is completely dependent on their education level. Undergraduate students will typically work 10-20 hours in a research lab during the school year. However, they can work anytime of the day, but sometimes have to complete tasks under supervision. Graduate students have appointments that are anywhere from 10-30 hours a week. They are expected to take a more active role in meetings and leading the research group. Therefore, their schedule depends on what the team is doing. However, there are many tasks that they can complete whenever it is convenient for them. College graduates who serve as research assistants will likely have a more typical 40 hour a week job. However, this is entirely dependent on funding for that particular research project. The job outlook for research assistants is entirely dependent on the economic climate, their geographic location, and grant funding opportunities. However, there is no specified job outlook for these professionals. When working for a university, the grant is likely the source of money for hiring that research assistant. Therefore, when a grant ends, the research assistant position likely ends as well. It’s the same case for government projects. The funding sources are either government based or private. Funds will vary from year to year as these funding agencies choose to focus on other projects. The most common industries for research assistants are colleges, scientific research, professional services, management and consulting services, and government. The median salary for postgraduate research assistants is $45,760. For research assistants in graduate school it is around $18,000. However, for undergraduate students, it is often dependent on their work-study funding. Overall, research assistants have an exciting job and get to work on part of a research team. The whole point of conducting research is to create new knowledge. Knowing that you are part of this is a rewarding feeling. The pay for research assistants is relatively low. However, a research assistant job description shows that it is a good starting position for those who want to become involved with research. Much like a medical assistant, it’s a crucial stepping stone. Gaining experience in technical skills or information literacy competencies will make you a well-rounded candidate for a research assistant job.